Girls may run the world, as in the Beyonce song, but women run California’s congressional delegation. More specifically, older Democratic women — but that could change soon. 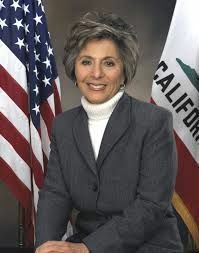 U.S. Sen. Barbara Boxer’s retirement announcement earlier this month kicks off a major demographic shift in California’s congressional delegation, as aging Democratic women move closer to retirement. Democratic women are the oldest group in California’s congressional delegation from both the U.S. House of Representatives and the U.S. Senate. The 104 women in the 114th Congress make up 19 percent of the members. In California, that percentage doubles — with women claiming 21 of 55 slots, or 38 percent. Those numbers don’t tell the full story. There’s only one Republican woman from California in Congress, Rep. Mimi Walters of Orange County. Twenty Democratic women represent California in Washington, D.C. — near parity with their 21 Democratic male counterparts. Yet that parity is likely in jeopardy due to one factor: age. At 81 years old, Dianne Feinstein is the oldest member of the United States Senate. She isn’t alone. Of the 15 members of California’s congressional delegation that are 68 years old or older, Democratic women take up 11 slots. The average age of California’s representatives in the 114th Congress, including both U.S. Senators, is 59 years old. For Democratic women, that figure jumps nearly a decade to 67 years old. Lucille Roybal-Allard of Commerce, age 73. Rep. Alan Lowenthal of Long Beach, another 73-year-old California Democrat, is a few months older than Roybal-Allard. 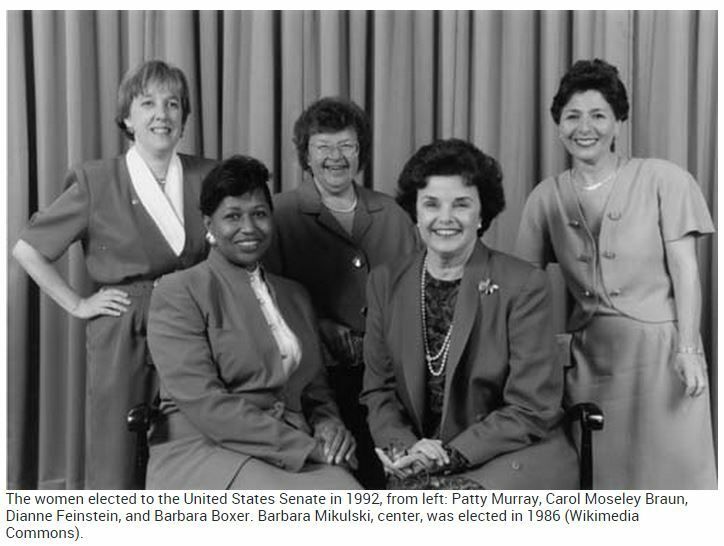 Many of California’s Democratic women first claimed a spot in Congress in 1992’s “Year of the Woman.” While the history books highlight the record number of women elected to the U.S. Senate, California also sent Lynn Schenk, Jane Harman, Lucille Roybal-Allard, Anna Eshoo and Lynn Woolsey to the House of Representatives. Robin Swanson, a California political strategist who has worked for the state’s top Democratic politicians, is optimistic that California is ready for another wave of women. “We’re long overdue for another Year of the Woman,” she said. The remaining members of the class of 1992 are now among the oldest members of Congress and are, obviously, more likely to retire. A spokesperson for Capps was less emphatic, saying it was still too early to know whether the eight-term Central Coast congresswoman would call it quits this term. Even if Capps and Napolitano decide to seek reelection, they could face upstart intra-party challengers — thanks to California’s Top Two primary system. Older House Democrats have faced spirited challengers from younger politicians in the last two election cycles. In 2012, then 80-year-old Rep. Pete Stark was unseated by fellow Democrat and 31-year-old challenger Eric Swalwell. Last November, Ro Khanna came within a few points of knocking off 73-year-old Rep. Mike Honda. In 2016, state-level politicians eager to move up California’s political food chain could get impatient, knowing un-elected Democratic challengers, such as Swalwell and Khanna, have cut in line. An overwhelming majority of Members of Congress with a college education. The dominant professions of Members are public service/politics, business and law. Most Members identify as Christians, and Protestants collectively constitute the majority religious affiliation. Roman Catholics account for the largest single religious denomination, and numerous other affiliations are represented. Lawmakers have an average age of 57. The Senate is older than the House, with an average age of 61 to the lower chamber’s 57. Democrats on average are older than Republicans in both chambers, at 62 to 60 in the Senate and 59 to 54 in the House.